Leonard Charles Baetz passed away peacefully on Monday, Sept. 3, 2018, in Tooele, Utah. He was born on Jan 30, 1941, in Pittsburgh, PA, to Charles and Annie Jablonski Baetz. He married Ilene Bell on March 3, 1961, in the Salt Lake LDS Temple. Leonard was a superintendent for Christensen & Griffith Construction Company for 47 years. He was a hard-working perfectionist. He was always willing to help with projects, but he only knew how to do things one way — the right way. Just ask anyone who knew him. 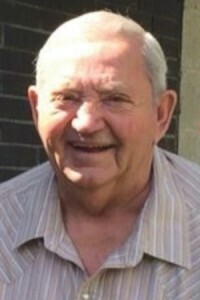 Leonard loved snowmobiling, four-wheeling, watching cowboy movies, and spending time with his family. Many friends and family enjoyed Leonard’s toys and generosity. He is survived by his sister, Barbara Christensen; brother, Ronald “Bear” Baetz; sons, Wade and Aaron (April); son-in-law, Darl Anderson; and 9 grandchildren and 2 great-grandchildren. He is preceded in death by his beloved wife, Ilene; daughters, Denise Anderson and Lori Gagnon; and infant son, Leonard Wade. A visitation will be held on Monday, Sept. 10, from 10-11 a.m. at the Tooele 4th Ward, located at 192 W. 200 South in Tooele, with funeral services following at 11 a.m. Interment will be in the Tooele City Cemetery.